Very attractive foliage Lomandra confertifolia is another wonderful native clump forming grass commonly called ‘Mat Rush’, however it does differ from other Lomandra species in growing habit. In its natural environment this is an understory plant which explains its requirements. Wonderful weeping foliage to around 70 cm depending on variety. This is a species that in general requires a little more water and little more shade than some, it does not make them any less useful in landscaping, just different in requirements. Slower growing and with a less vigorous habit they are better suited to feature planting. Having said that if you wish to mass plant then look for larger plants and take care when planting. With many cultivars now released height and form will vary. The species will reach around up to 1m although even this is variable. 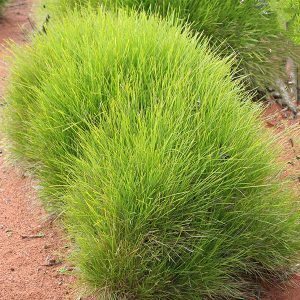 Tilga – To around 70cm deep green foliage, a little more upright but still slightly weeping, most attractive. This is a hardy Australian native which is adaptable to a wide range of soils and growing conditions, dry to damp soils, sun to part shade and poor soils as well. However ideal growing conditions will enhance the growth. Try for a humus rich well drained soil, be a little careful with fertiliser, a slow release native plant fertiliser which is low in phosphorus will be best, however as these are an undemanding plant do not over fertilise. 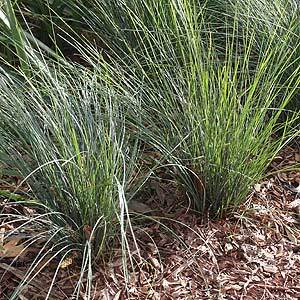 Lomandra confertifolia will grow well in containers and provides a low maintenance solution to many landscaping and mass planting situations. These are plants that naturally grow in a woodland situation so look for part shade for these attractive grass like plants, afternoon shade is excellent. Very little maintenance required. If clumps become untidy they can be pruned back hard to rejuvenate old or damaged foliage. Best pruned just before new spring growth appears. Clumps can be divided in late winter to spring, plant into a moist soil and maintain moisture until established. Soil – Well drained with some moisture during dry summers. Flowers – Cream with a sweet fragrance. Foliage – Mid green, narrow.